The Ramada Whitehall/Allentown, located off of Rt. 22 is convenient to I-78 and the Pennsylvania Turnpike. This Allentown Hotel is directly across from the Lehigh Valley Mall on Rt. 145 North Macarthur Rd. Nearby Cities include Whitehall, Allentown, Bethlehem and Easton. Your Top Choice of Allentown Hotels, and Lehigh Valley Hotels for many attractions such as Dorney Park and Wild Water Kingdom, Crayola Factory, and the Sands Casino at Bethlehem Steel. This is the nearest of Lehigh Valley Hotels to Blue Mountain Ski Area. 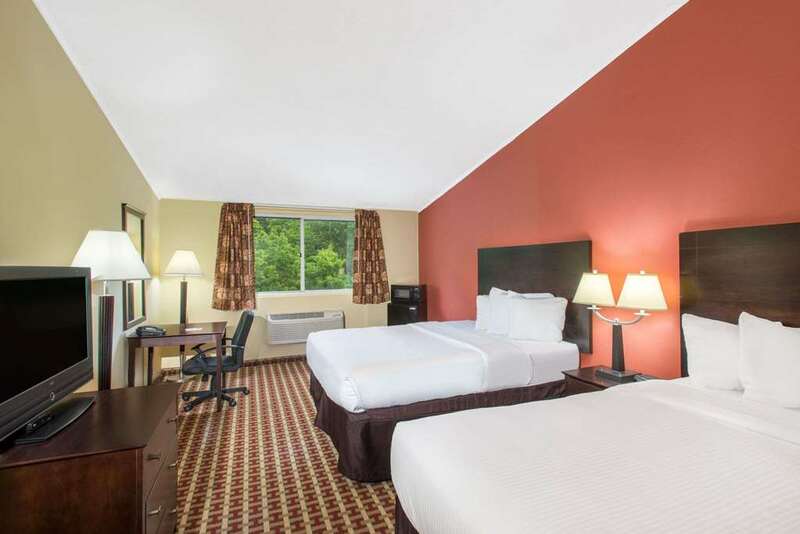 The Ramada Whitehall/Allentown is a Full Service, Interior Corridor Hotel offering a Free Deluxe Continental Breakfast, Free USA Today Newspaper, Free local and Long Distance phone calls, Free Wireless High Speed Internet, and Free Parking. All Rooms are equipped with a 32 inch flat screen TV and expanded cable with HBO.